Welcome to Freiburg – a city which impresses and enchants everyone who visits. Freiburg represents variety, tradition and innovation, art and culture, education and science, sport and nature. 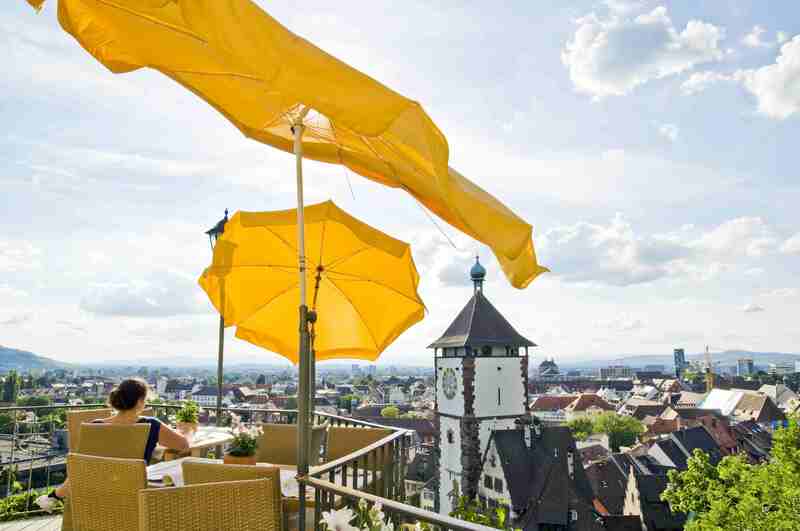 Freiburg offers both relaxation and excitement all year round. The mild climate and unique location at the foot of the Black Forest make a visit to Freiburg an unforgettable experience. Positioned in the tri-border region, Freiburg is the perfect starting point for excursions or shopping trips to Switzerland and France. Freiburg is the ‘Green City’ – Germany’s model sustainable city. Science and business, the town administration and its residents work hand in hand to save natural resources and to maintain the beauty of the region for future generations.